The Arteleku transition has also had an impact on its media library. Gipuzkoa Provincial Council’s Culture Department has decided to merge the Arteleku collection with the TBK’s, and the majority of the collections are thus already there. Arteleku still has a basic media library on art and contemporary culture. The Arteleku media library collection features art and contemporary culture and reflects the history of the centre. The collections reflect Arteleku’s activities (laboratories, workshops, events) and the artists, agents and creators that have passed through Arteleku. As regards the artistic disciplines, the collection includes sculpture, painting, photography, architecture, music, design, graphic arts, illustrating, films and audiovisual creation. In this vein, it also contains catalogues of the most outstanding contemporary art exhibitions from the last 30 years, particularly by Basque artists. Particularly noteworthy are the collections of contemporary culture, philosophy books, art critiques, aesthetics, sociology, feminism, sound and music, architecture, films, art and technology or anthropology, to name a few. It has thus been a benchmark collection of contemporary culture and art down through the years. 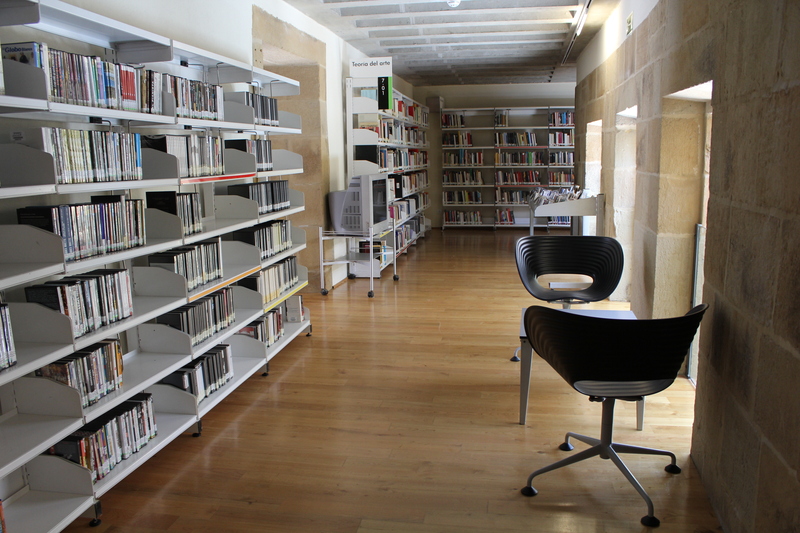 Tabakelera-TBK, a project under the aegis of the Basque institutions, now plans to host a media library that will be the centre for the cultural project. Gipuzkoa Provincial Council’s Culture Department has therefore decided to merge the Arteleku collection with the TBK’s one. The process to merge the collections is already underway and, for technical reasons, part of the documents will not be accessible for a while. However, the merging of the two collections will be conducted in two phases to ensure this situation does not drag on. Thus, documents in the following areas will be available at Arteleku: theory of art, sculpture, painting, video art, music and group exhibitions. Audiovisual documents and audio CDS are in the new Santa Teresa building. On the other hand, the collections of the following areas are already at TBK and are therefore not accessible: theory of art, architecture, films, drawing, design, photography, shows, fairs, biennials and events. The magazine collection has also been moved to TBK. Even though the general distribution is as described above, Arteleku’s basic library will have books from all areas, although to a lesser extent. You can check the catalogue or contact the media library to find out if a document is available. On the other hand, the Pepe Espaliú collection has been moved to Cordoba, where, at the wish of his family, it will be kept at the centre that bears his name. Different people linked to the world of contemporary culture and art will help us re-visit the collections of the Mediateka in this section. These itineararies will be an invitation to re-read or discover texts, ideas, authors, subject matter and stories.